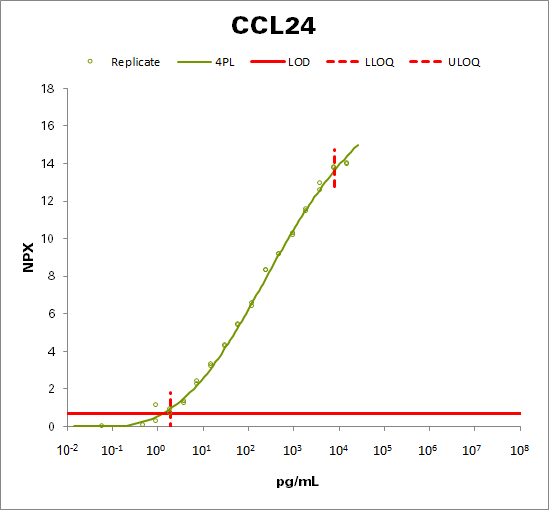 CCL24 is a small?cytokine?that interacts with?chemokine receptor?CCR3?to induce?chemotaxis?in?eosinophils. This chemokine is also strongly chemotactic for resting T?lymphocytes?and slightly chemotactic for?neutrophils. Elevated levels of eotaxin-2 has been seen in patients with?aspirin-exacerbated respiratory disease? (AERD), such as asthma. ?